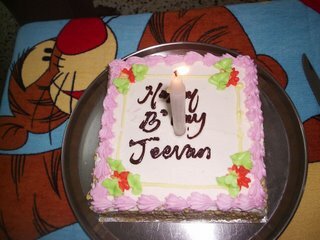 This was first time, after my schooling I was wished by many friends, very happy (to see the comments for last post). Today was my Birthday; I have finished 21 years in the earth and entering 22nd year. 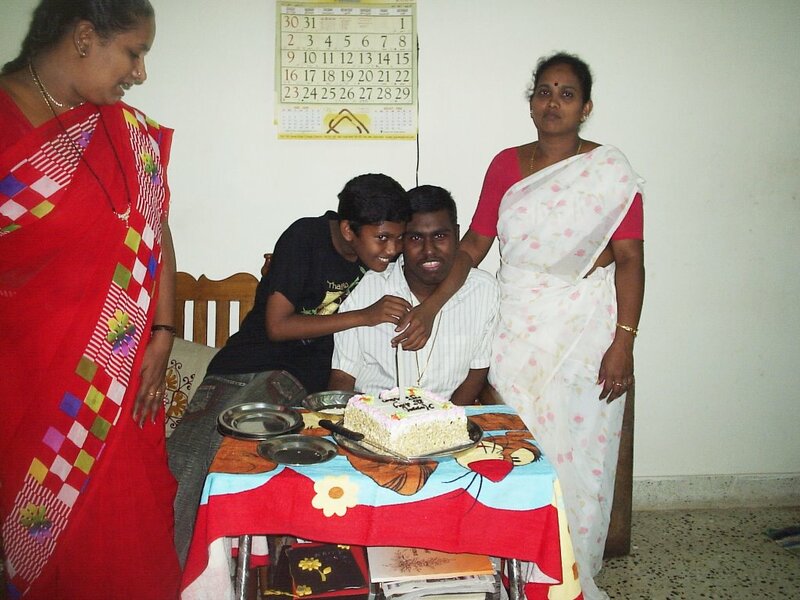 Today as a working day for all, I have celebrated by birthday last evening (Sunday), with my family. It was a happiest day for me, cousins wishes me by giving cards and gifts. We cut cake, and took photos with them, mom cooked specials food for us and enjoyed by watching Sunday programs in TV. Today morning wake earlier, took bath, wear new clothes. Got sweet kiss form my lovely mom and dad. Cousins called early morning and wished. 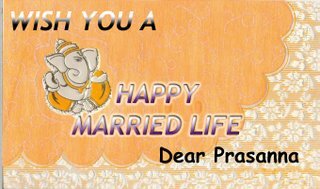 Morning open the mail box and nice to see many wishes form my friends, (blogger & well known persons). Sometimes I worried why I have born in this world, as a useless weight. But some movement like these makes me so happy and realizes there are some for me to feel happy. What I have earned in my life is a lovely parent, sweet brothers and sisters and wonderful friends like you. Thanks every body for being with me every time, and share my happy and sad times. 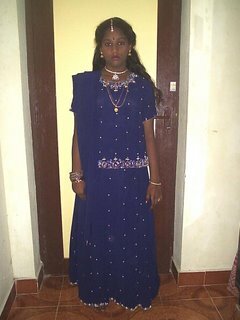 How is my birthday dress? Finally went to the palace (I mean Drive-in theater) to see our Emsai Arasan 23rd Pulicasi. The climate was very nice last evening, with cloudiness, and cool breeze form the sea. Emsai Arasan 23rd Pulicasi was a movie based on the history, the period of the British’s in India. The story: twin princes born to Veera Chozhapura Palayam King, as 23rd child (22 child have born and died), but the queen’s brother, evil mind Rajguru, hold the elder child (who was innocent) with him and separate the young child (who was intelligent) and gave it to kingdom’s doctor to leave into the Vaigai River. Rajguru craves to have the control of the kingdom in his hand, so he grows the elder son as foolish king and keep in his control. The young children was got in the hands of doctor’s wife, and like to take him as their son and give him good education and grow him as a brave and valiant warrior. The elder son was named as 23rd pulikesi, and younger son was Ukkrabuddhan. By the advice of his Uncle Rajguru, Pulikesi join hands with British and sign many things like digging gold, selling Liquor, and paying tax for them, by these activities the people in the country disliked the heartless king and a revolution force was organized by the young Ukkrabuddan to destroy the rule of Pulikesi, and the king’s relation with British. In this situation, the younger Ukkrabuddan, saw the king, and wonder he was like him and comes to know of the past and realize that Pulikesi was his brother. In between the Commander-in-chief try to kill the king for his cruel rule and the king was caught by revolution force and Ukkrabuddan impersonation and went to kingdom as Pulikesi and changed the rules and broke the hands with British. And the Elder Pulikesi was sent to prison, to realize how was his punishment to the people. Did the twins meet? What happed to the Rajguru is he dies or realizes his fault? What happen to the kingdom? Is the remain story. Vadivelu as Pulikesi and Ukkrabuddan (twins), an appreciating acts. The vadivelu not even need to talk any dialogue, we laugh when see him on the screen. His funny questions and punishments make us laugh, where ever the scene when the minister with pulikesi, is very comedy, esp. 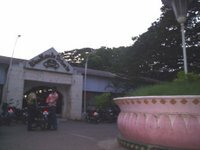 the scenes when Pulikesi get angry on the security for not tell the dialogue rajathi raja, raja marthanda… (Me too forget…. Pls don’t give me any punishment pulikesi) properly, so the minister will tell I will kill him now, where is my sword, sorry king, I have forget to bring the knife. The minister’s face expression make us laugh here. When vadivelu talk the Kattabomman diagouge to the British captain, it was fully comedy, and the British captain’s Tamil words are very very funny. If Shivaj was lived now, sure Vadivelu will be wised by him. What a acting, riding the horse, showing White flag on the war time to their enemy country, going to the bear hunt, and got shame by the bear. There are two heroines who come only for the song. Nasser as Rajguru, his face expression was very new, and too his hairstyle. Songs take us to the 60’s 70’s, every song are different, the first one Aada va pada va (come to dance, come to sing) was super, vadivelu was lucky to play with the girls in the harem. The female voice in this song was very sweet, esp. the voice for this lyrics alagu rasi nerunge enthan pakkam va da, avasarama ennku oru mutham thaa da….. The background music was wonder, Music director Sabesh-Murali; part was very a big support for this film. The climax statement by the king Pulickesi to the people remembers our politician’s election’s promise. The film was directed by Simbu Devan, we have to appreciate his idea of taking a film based on the history, the clean Tamil dialogue was a plus point for this film. The art director’s settings show the real fort before us. My favorite Director Shanker has produced this film, thanks for taking a whole comedy film. I enjoyed well, by eating Ice-crème, popcorn, even finished the dinner in the theater. As u all know there was a contest Air-tel Super Singer in Star Vijay TV. Mr. Harish a Software engineer form Banglore, and a blogger too (visit his blog), was participated in this Competition and qualified to super singer finals, now he needs our help to fulfill his dream. It was his 20 years dream to become a playback singer. If he becomes a Super Singer, he will get a chance to sing in Harris Jeyaraj's upcoming movie. The final round will be held this Friday/Saturday at 8-9pm in Vijay TV. The winner will be selected by audience vote. So Pls watch the show and Vote for him. After getting a cell I got a new work that is reading the sms and pass it to others. 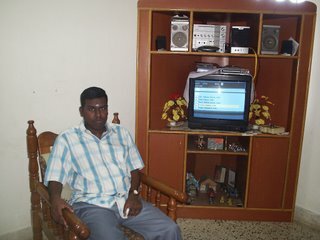 Mostly I get sms from Prasanna and my dad’s colleague Elango. I have a cousin in Chengalpat( a small city near chennai), he dint have TV in his house, so every day morning I will send him the headlines today, through SMS. 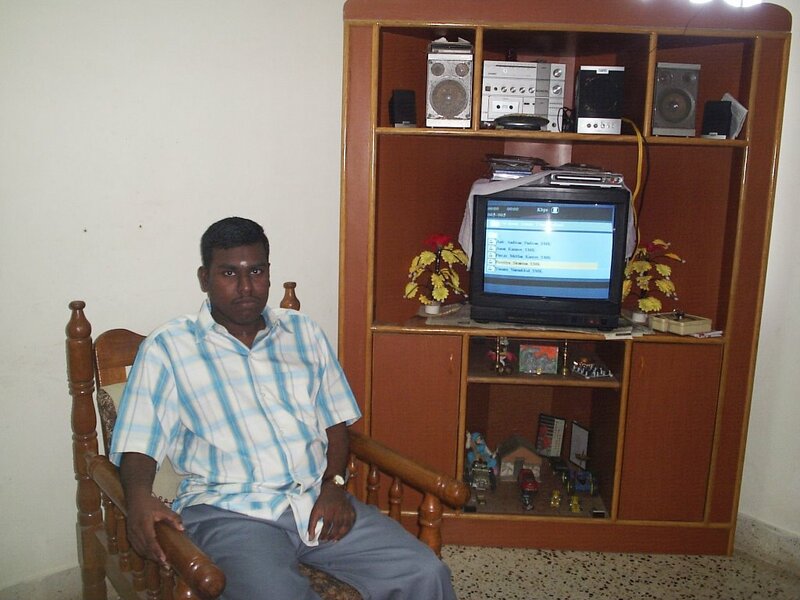 he is waiting for Chief Minister Karunanidhi to give free tv, as he announced in his election proclamation. Here are some funny sms, I got recently. If money doesn’t grow on trees, then why do bank have branches? Why do you still call it building when it’s already built? If you aren’t supposed to drink and drive, why do bars have parking lots? A sculptor made a statue of God in a single rock. The withered parts of the rock were used to make footsteps of the temple. The footstep asked the statue, brother we are from the same rock but u r worshipped and I am stamped, why? Statue said I with stood thousands of hit, by the sculptor. But you withered by a single hit. That why I am worshipped & you are not. So never feel for overcoming hardship, it will surely take us soon to our success. In life you meet many people, but you can remember only some, who made a difference in your life. And I know that I am one of those people because I made you read this long and useless post (messages). And I am still making you read more. Now that making a difference in your life. But people like you don’t learn easily and continue reading silly post (messages) like this one ok now, stop reading will u stop reading hello I said stop reading ok Keep smiling. The first man said, " my wife was reading a "Tale of Two Cities" and she gave birth to twins". "That’s funny", the second man remarked, "my wife was reading 'the three musketeers' and she gave birth to triplets". 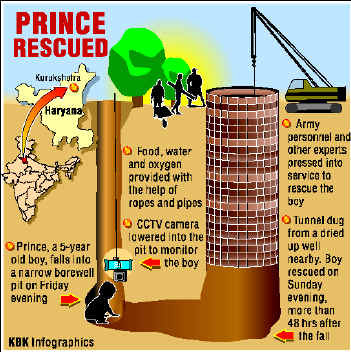 The two-day tension of the whole nation has got relief last night, when the Army rescued a 5-year-old Prince form a 60-feet pit. The boy prince was playing with his neighbor friends near his house (a village) in Haryana. Some days back some irresponsible people have dig a bore well, and forget to close the pit, so in this situation, the prince fell into the pit. His friend run into the village and said this to his parents, and the village people try to save him out of the pit, but their attempt failed, so the called the army. The army tried very hard to save the child my creating a well near the pit. They send oxygen and food like biscuits, chocolate to for him and using a CCTV system till they save him monitored. In between the rain was disturbing the rescue, and they brought modern machines form mumbai and rescue them at 7.00pm IST. The whole nation prayed for him including Prime Minister, our prayers dint fail. Every one in the village has thanked the Army for their hard work to rescue the Prince. Prince looked dazed but did not appear to be in any pain, really we have appreciate his brave mind, to live alone in the pit for 2days. His parents was swimming in the happy flood when they saw their son rescue form the pit, I feel how the mind of the parents should be for the last 2days. The Chief Minister of Haryana has announced 2 lakh for his future as a gift. At least hereafter the people who dug pit, should carefully close after their work finish. Thanks dear soldiers for your kind helps. After a weeklong chaos, will the Actor Shivaji Ganesan Statue be laid on the Marina Beach or not, because some have complained that the Shivaji statue is hiding our Mahatma Gandhi’s statue, which is on the side. The case when to count and the Tamil Nadu government brought order on its preferential. The Statue was open by Tamil Nadu Chief Minister and a childhood friend of Shivaji Ganesan, M.Karunanidhi, from a stage near the statue, when he pressed a button the yellow screen opens and Shivaji statue which was made in bronze, shines in the pleasant evening yesterday, with much Film personalities and some political leaders, including Shivaji’s family members surrounded. It was live show in Sun News, an emotional function. There are many statues in the seaside of history persons and some freedom fighters, but Shivaji is the first actor form Film industry to have a statue in the Marina Beach. A request for the Government, u have kept the statue, every one who has love him will be happy; don’t think your work has finished. We all have seen, only government shows interest to bring a statue, but forget to maintain and clean, many black statues are now like half painted in white, the white’s are the waste of crows and some birds. Pls try to clean the statues at least one in three months. my heart bleeds, feeling the pain of the cute. 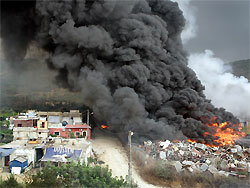 This was an incident happening in the Lebanon; really I worried when I saw that kid photo somewhere. Save your life, go some where, will not care if u die. Before she pick it have wet half. Green peace is an organization, which was activating Amsterdam as its headquarters in Holland. This organization is struggling to secure the sea living animals and plants. For this, the team was touring all over the world to create awareness. 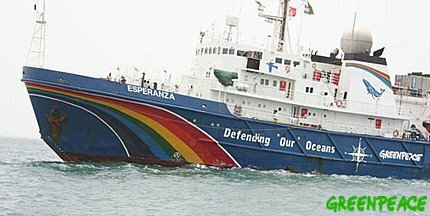 As one of its part, the green peace’s My Esperanza (A ship) organization starts his tour form Mediterranean region, last month and arrived chennai 2days back. This ship has been halt in the Chennai harbor, to highlight the fragile beauty and vulnerability of India's coastal and marine ecosystems. This is the Esperanza's maiden voyage to India, although the country has played host to the Rainbow Warrior and the Arctic Sunrise, part of the Greenpeace fleet, on three prior occasions. 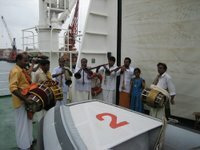 The Esperanza was welcomed with our traditional music (mela dhalam) and flower necklace (poo malai). 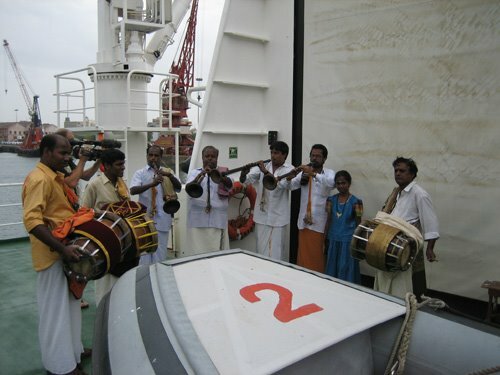 The message form the team was the Indian Ocean’s resources have some unknown wonders inside it. This organization has rinse and researched, how many plants and how many different lives are living under the sea in the many sea places, in this world. But in Indian Ocean there are lots of wonders have been hide. When compare to other oceans, Indian Ocean is very deep. But in some secured seas, the environments have spots. In the name of developing tour, in many places the sea resources have been polluting. In the name of improve the economics; the works, which are conduction on the sea, will affect the Nature resources. They warned us, by the Seathusamuthram project, many will get employment opportunity, but, how the other parts of this world were affected by the activities like this, the same situation will also happen here. By digging the sea many coral rocks and rare plant will be destroyed, its an action opposite nature. The green peace organization have been collected the information from there research, in that they have come to know the miscellaneous affect have happen, in the gulf of mannar, sea horse have been hunting. In Orrisa, sea cows have been hunting. In some places more quantity of fishes are catching, many places sewage are mixing in the sea. To stop these activities of creating pollute and to save the sea livings and plants resources, the Indian government should launch a law to secure our sea wonders. This ship was expect to sail towards Singapore, Philippines to propaganda of the sea secure. 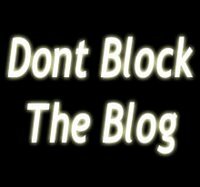 What to do, every one has post about the blog blocks. For my part I will tell some thing. Everyday million of people start blogs, and share their thoughts with others. Mostly the people like me who can’t move out can entertain by this blogs. But the Indian government’s action is against us. For examples the terrorist are realizing many bloody videos through sites and there are many adult links too, why can’t they block these sites. There are many things to block in our nation, first close them esp. the Tasmac (wine shop), to make the drinker family feel happy. At least we are doing this blog usefully to communicate each other in good manner. Some bloggers don’t know the other way to open blog; and just sit don’t know what to do. Jeevansworld is requesting the government to clear the block soon, because we feel hard to read our friends blog. 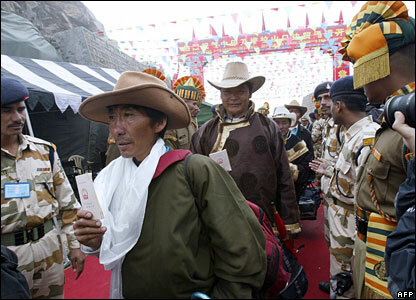 As soon after the leaders of China and India reopened the boarder trade through the Nathu La pass on July 6, the Chinese Army officers shake hands, hugged and posing for photographs with Indian soldiers, most of them infantrymen form the Black Cat Division raised way back in 1941 to guard the Sino-Indian boarder along Sikkim. After all, 2006 is nothing like 1967, when there was an artillery duel on the 14,400 feet high pass. Border trade was halted long before that in the wake of the 1962 India-China war. These are different time, Last September; our soldiers play volleyball right in Nathu La with Chinese army men. Indian-Chinese soldiers make eye-to-eye talk with each other everyday, that one day the two Asian giants will reopen the trade, and are always on maximum alert. 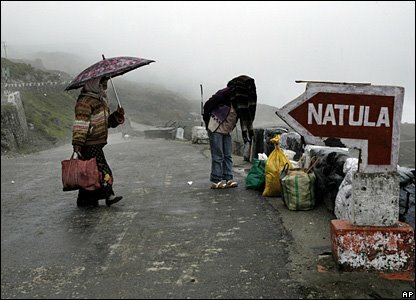 Because of the soldiers Hope in boarder, the Nathu La has reopened. At the 2 degree C, a drizzle anything, hundreds of guests on the Indian side shiver, but the warmth of the occasion was palpable and trade were eager to take the fabled Silk Route used by merchants in the 19th century. What about the trade itself? The people in Sikkim were amazed that India, and China two powerhouses are hoping to boost business by trading in things like Yak tail & Hair. Most of the things we can import form China are yak tail, yak hair, goatskin, sheepskin, horse, goat, sheep common salt and china clay. India’s export list includes, blankets, bicycle, tea, coffee, liquor, herbs and hardware. There was a long queue of some 80 Indian traders awaiting the nod to be driven over to the China. Many like to import Electronic goods. India-China trade rose to 18.7 billion $. This year it expected to reach 22-23 billion $. Nathu La, the third boarder trading point to be opened, is the most important because it controlled almost 80% of trade in the pre-war era. India likes to have a friendly relationship with neighbor countries, hope this trade must give us some. An Old man is happy that he sparked the genius in his grand son. The Old man from Chhattisgar (India), was suffered a paralytic stroke six months ago and his physical incapacity made his 16 year old grandson Apurv Mishra to think of an invention to help the disable. The device, Glabenator, was adjudged the world's third best engineering project at the International Science and Engineering Fair (ISEF) at Indianapolis, US, from May 7 to 13. ISEF, the world's largest pre-college scientific research-based competition, had 1,500 participants from 47 countries this year. Apurv, a class 12 student of DAV School, Bhubaneswar, was among eight teenage scientists who represented India. “Glabenator” (from glabella, which means the smooth part of the forehead above and between the eyebrows) is a device for the immobilised to operate a mini computer. Originally in the shape of a helmet, Glabenator has gone through many improvisations. The present model, the fifth, can be fitted like a pair of spectacles. A twitch of a muscle is all it takes to operate it. A sensor and a transmitter are connected to it. If the disabled person wants to communicate that he needs water, he has to move the eyebrows to get the toolbar on the message menu on the screen. The person can then scroll up or down to select the water option and a voice in the computer will say I need water. Apurv has tested his invention on 83 patients. He is now exploring other possible uses of Glabenator such as switching on fans and lights, and operating switch panels on planes or during military combats. 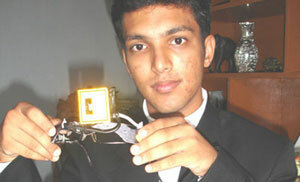 The young inventor is looking for sponsorship to get a patent for his device, which, will cost only Rs 1,300. Apurv, who started using a computer when was in class 5, invented a device four years later that won him recognition of the Council of Scientific and Industrial Research. Finding that students who shared bottles ran the risk of infection, he invented an attachment that could be fitted to the bottle to drink water without one's lips touching the mouth of the bottle. His next concept is water computer or computation using water flow. Apurv Explains that Paul Sermon of MIT is working on fluids for computation. On that basis, now in am working on how water can be manipulated to use for computation. It is yet to be completed. I have to balance study and research. He has his goal set, to be a scientist to develop new technology aimed at a deeper interface between man and machine. He has no fascination for IITs, which he says merely make students employable. 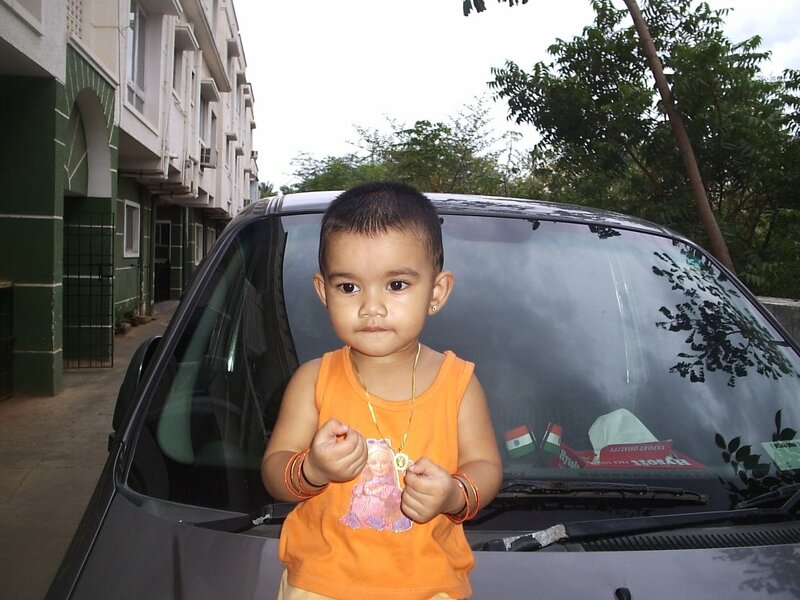 Apurv wants to go abroad for higher studies. The boy keeps in touch with international scientists via email. Steve Mann of the University of Toronto, known as the father of wearable computers and the first cyborg in the world, guides Apurv to some extent. He considers Steve and Dean Kamen, a famous inventor in the US, his role models. Last day, a day I have laugh for some times, after a long time. I forget to tell about a new person who has been with me everyday for at least an hour. It was my new physiotherapist Sumithra. It was very nice to sociable with her; I like to talk with her while doing exercise, some times it will be enjoyable, her exercises will be like playing. Very understandable person, if I feel difficult to do some exercises, she use some play techniques to make it easy. We discuss some issues and news what’s happening in the world, and she asks my thoughts on that, and she tells, what she thinks about that. She encourages me to continue my news writing. Last evening she did a new exercise, its catch and throw, I feel happy to throw and catch, I enjoyed it a lot. After my caliper was broken, I can’t even take 1 step with my bare foot, but today tried my best to walk form bedroom to hall, really feel happy like got some strength. For the last 2 days I was enjoying my old favorite songs in my new DVD player (because now only I got a remote for that), with high volume, by getting sweet scold form mom (for putting volume high). This is ammu, my neighbor kid. I have see many kids cry when they play, but I never saw this kid cry, always have a beautiful smile on her face. I love this child when she walks, it’s like robot walk:) It has been a week I saw this kid playing, (because my caliper have been broken last week, so till I get a new one, I cant watch this kid). 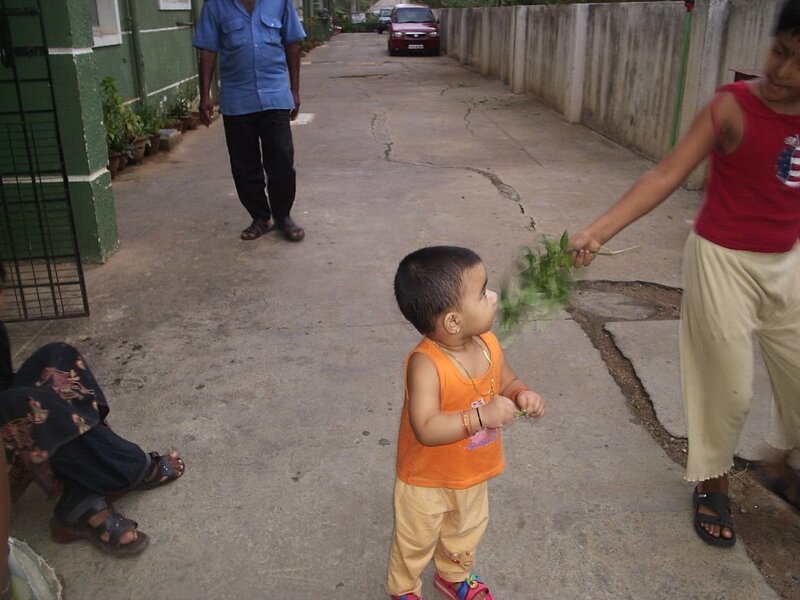 When I was waking everyday outside my house, this kid used to play with other kids. Is their anything-happiest movement in this world with out see the kids plying? Everyday I will be waiting for the evening to see this kid and her friends. At least 100 innocents have killed and hundreds have injured in a horrible Bomb blast in Mumbai this evening (6.pm ISD). Blast took place in 8 different railway stations through out the city. Police confirmed that 60 bodies have been counted. All trains had been suspended in Mumbai, and asked the public to stay away from the train stations of the city of 16 million, India's financial and commercial center and principal port on the Arabian Sea. The first explosion hit the train at a railway station in the northwestern suburb of Khar. A red alert has been sounded in the Maharashtra. Now its raining in mumbai, so the helps have been disturbed. I think our security system is weak, they have to Strengthen it. If the government leave this matter as silly, we have to face more incidents like this in future. we cant even imagine when the blast help people jump form the train to save their life. 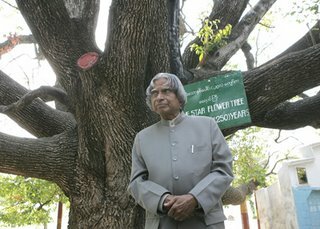 Who other than our dream hero(President of India). Who played with dangerous weapons one time, an strength person to fly high, who makes the world to turn on us through the India's first indigenous Satellite Launch Vehicle He was an inspiration for the Indian youths and children’s, who live with many dreams. I wish to meet him and discuss about our India’s development. My favorite thoughts form him; country will rise, only if the villages and agriculture rise. I have many times craved, to have a friendship with a girl. It’s a long time wish to have a girlfriend, going out ever where with her, putting hands on her shoulder and walking, playing, dating for hours, exchanging kisses, talking with eyes, should love me always, should kiss me everywhere there is no end for my wishes haha…. Its one of wish to stand on the edge of the ship, holding tight my girlfriend, kissing for hours like a scene form Titanic. 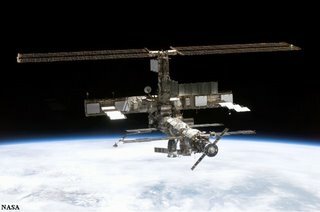 World space Station, to watch the world’s activities. Can find any place in this world, from here, this controls many communications, and helping for space relevant researches. This wish came to me after watching the day after tomorrow film, were the scientist see the world destroying from Space Station. 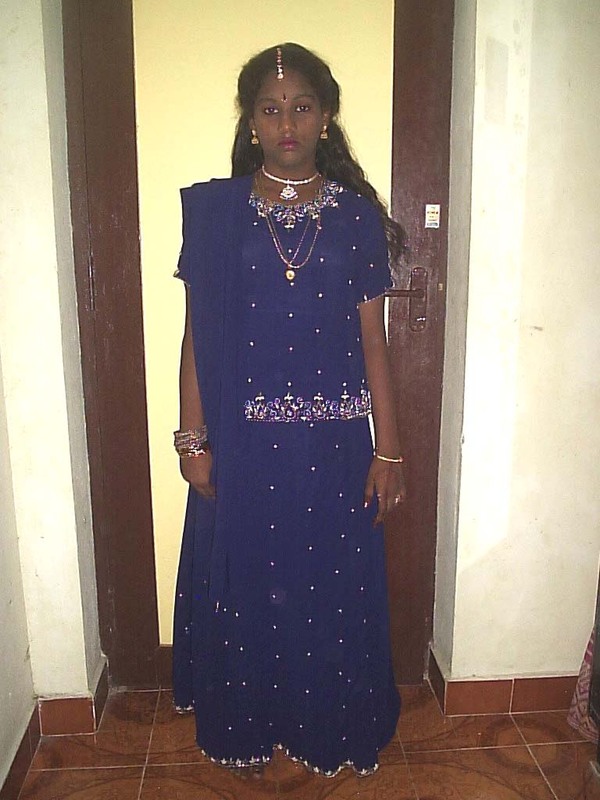 Velu gave me this work, a picture tag, have to post some picture and should write about it. I have tried some any one is interested u can do it. A Sad News : India's space programme received a major setback today. The Geosynchronous Satellite Launch Vehicle (GSLV-F02) carrying the INSAT-4C communication satellite veered from its projected path and came crashing and fall down in sea. The failure of INSAT-4C meant that plans on Direct-To-Home television services and digital satellite news gathering of some channels which had booked transponder space, esp SUN TV, have been hit. Sun TV had booked seven high-powered Ku-band transponders six for DTH, and one for DSNG of the total 12 carried by INSAT-4C, the second satellite in the INSAT-4 series. Falling is the way for achive, dont worry scientists. 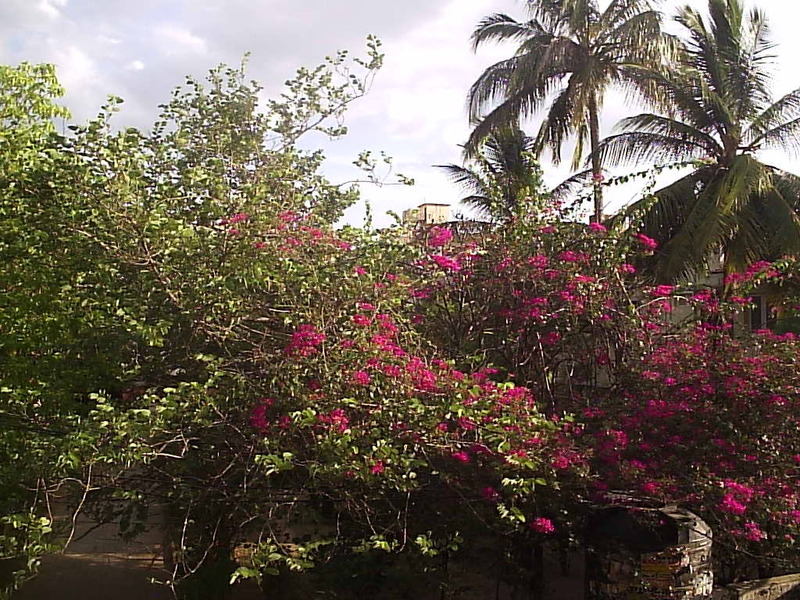 Some floweres grown in our opposite house, its nice to see some flowere in this hot climate (yesterday its +40 degree Celsius in chennai). Last evening there was a function in my uncle’s house (my old house) for my cousin sister (she was matured), really I was not interested to attend that function, but uncle and aunty was compel me, I don’t know any way, because dad went to office, mom should have to go in the morning for making arrangement for the function, no one will be in house, so I said yes, for the evening function, my mom took me their in morning itself. What to tell, from morning to evening, very bore, my only option is to watch Television. After 11am, watching TV was irritating, what ever channel I turn its serial (drama) time, the music channels like SS Music and Sun Music are above this, the VJ’s communication with audience are another irritate. But there was a cute VJ, don’t know here name, looks beautiful in the sleeveless and jeans with open hair. Another option was to play TV videogames, even that was also not working well. Somehow I managed till evening. Any way there was not much relatives in the function, but had a chance to see many neighbors and their kids. We took some photos with my sister, and they wear different costumes for her to take photos. I think if a girl was matured, many do function, to tell others that she was matured, I disagree with this culture. I think only In India we do some ceremony for girls if she was matured, it’s like putting a circle for her freedom and calling the realities and neighbors and doing functions sends that girl into uncomfortable. I can see the stresses, with some sorrow through my sister’s eyes. We should change these old sentiments. Some old grandmas, used to talk about the marriages to these children’s, in this situation. The old’s don’t know it will take them to chaos mind. Are they asking her opinion, is she interested in this functions or not. Already some have started telling to my sis, u should go out and play with friends, it’s the time for them to play, after they went to 10th standard they not even have time to play, only studies studies. The future generations should correct them and stop these ceremonies, and leave them to enjoy their life happily. Is their any thing wrong in my thought? 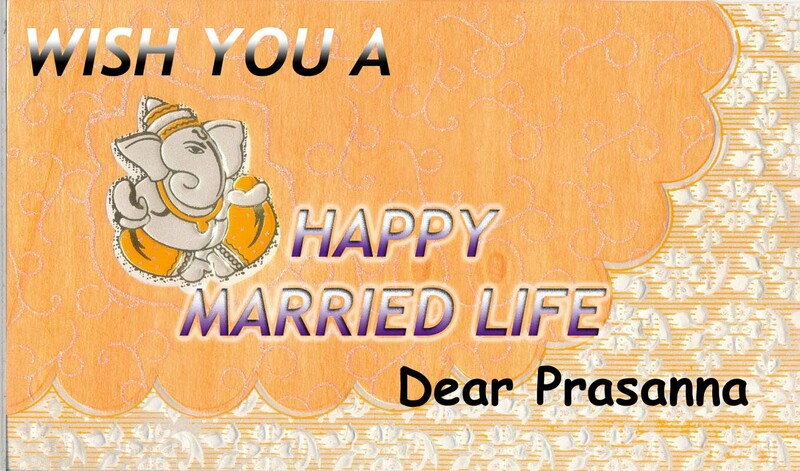 My Friend Prasanna (from coimbathore), is getting marriage tomorrow (6th July), with Amirthavalli. 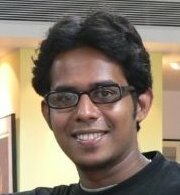 Prasanna was the first blogger I talked, through phone. He requested me to attend his marriage, but I cant. So here is my wish for him, I know you will not mistake me dear. Please wish them here. Dedicateing this poem for him. For the last 4-day, Mumbai and its suburb receiving heaving rain, because of this incessant rain, Mumbai city was floating in the floods. 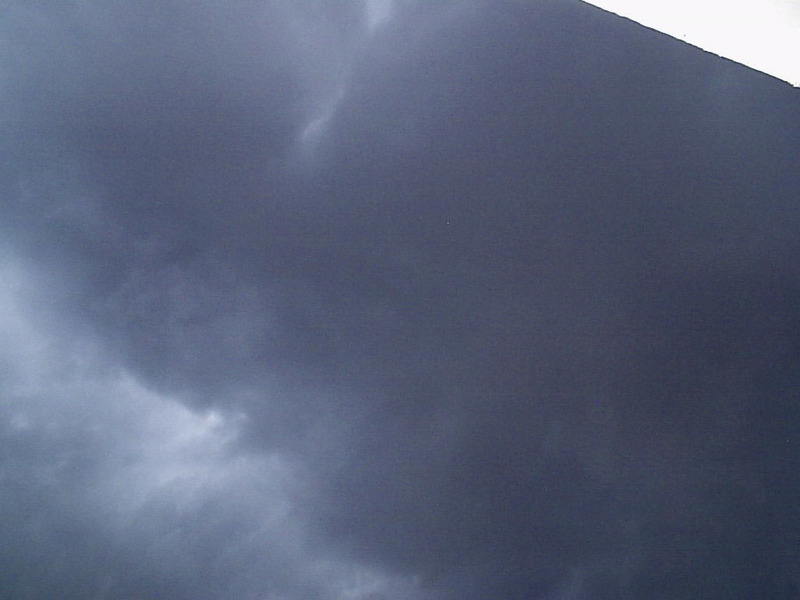 The weather reaseach center announced further heavy rain warning. Because of this continue rain the Bus & Train transport has been affected, many train tracks have surrounded by floods. Water has surrounded in the Airport runways and many flights have been diverted to nearest airports of Mumbai. Trees have felled in 50 places, Schools and Collages have been closed for last 2 days. The Mumbai police commissioner has warned the public to avoid going out unnecessarily. In Mumbai rain, in Chennai Heavy Wind. For the last 4-day the chennai is receiving heavy wind, not only in chennai, many places in Tamil Nadu are affected by heavy wind. 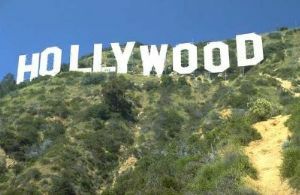 Many trees and advertisement boards have felled, the West continue mountains receiving rain with heavy wind, most of the schools closed in Nelagiri. Because of the Heavy typhoon on the Bay of Bengal, Sea was very anger in Kanyakumari and its surroundings places, many seashore houses have been destroyed, sea have come forward some meters form its presence place, Fisher men’s in Tamil Nadu have warned not go inside the sea to catch fish. All ready there was flurry, after some Film actress have said, that they have enter the Sabari Malai Aiyappan Temple in Kerala years back and touched the god’s feet (women above 10 & below 50 age will not allowed to get inside this temple). Before these flurries haven’t switch off, another issue have raised. There was a famous temple (Raja Rajeshvar temple) in Kerala’s Kannur district. There was hope that if a person present a gold pitcher in this temple, what every they pray will be done soon, except Hindus other religious people will not allow to enter this temple. Tamil & Malayalam actor Mera Jasmine have visited this them on last Thursday, (In this temple women will allow only after 8.pm in night). Mera have presented a gold pitcher and burst a ghee lamp, and worshipped. Because of the Media and news reports this issue gave been flurry and spread everywhere. The temple management has considered that Mera Jasmine being as a Christain, who entered the temple as pollute. Because of this the priests said we have to do some special prays for god to clear this pollute, and they also have done the pray. I think these issues of touching god’s feet and another religion people enter in a Hindu temple is not a big wrong. We all talk that god is one, and for him all religion people are same, but some temple have restricted not other religious people to enter the temple. I have some to tell for my share, I have gone to Church and burst candles and touched the Jesus Christ statue. If I am sick my mom have taken me to Mosques to get sacred ash or some neighbor Muslim elders will pray and give sugar to cure soon. Only the Hindu temple put rules that other religion people should not enter temple and pray. If whoever pray to god with truth, all of them will get bless. Leaving that, why are some creating problems on this. God don’t see he is male and he is female, everyone are same to him, only we people separate that women should not enter this temple and that temple. When are we going to correct our self? Don’t see the religion, male or female, only see their praying mind, are they satisfied with their prayers or they get peace when they visit temples. I think the media and press are giving more importance for these silly problems. For the last 5 days it’s irritating to watch news, telling the same news repeatedly, I ask, only these things are happening in the world. Many people are achieving, scientists are discovering new things, many family are living in die or live situations, many kids are begging for a single way food, why can you cover there life problems and take there life to public. In this fast world, media is playing an important role; I request them to use this in a best way. Yesterday went out with dad, mom, aunty and cousin sis. We went to Woolens Drive-in restaurant, it’s the only restaurant I can go now and eat inside the car, I was there from my childhood, every Saturday my dad take me & my brother there, esp. for playing seesaw, swings, spinning wheel and horse ride. There was a horse some times back, we used to urge dad to take us in horse, the horse will move slowly, and it was nice experience to ride in horse. Luckily this time the waiter visit our car as soon as we arrived, or else we have to wait for some time, waiters to ask us. My favorite item there is Dosai (pan cake) and Poori. 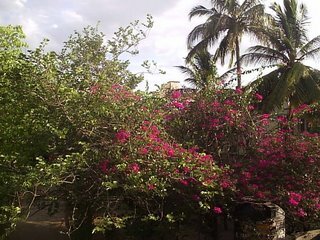 After we leave to Merina beach, we expect was to get some sea breeze, on the hot day, but we got only sultriness their. There was cute kid playing on the sand alone, was so sweet. Its long I have went inside chennai city, the traffic have been increased now. Went to my old house and chat with some friends in our uncle’s mechanic shop, our pet dog lakshmi have become fat now, and its remember me even now if I call it.